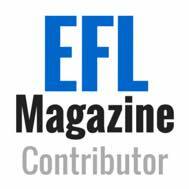 Language Fuel (Academy) is an online training platform both for ELT teachers and learners. This review focuses solely on resources designed for teachers. 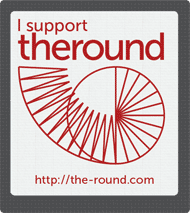 They offer a suite of online courses (currently over 30 of them) via a membership model. A Premium membership is around 15 UK pounds per month, although there are discounts for institutional membership. There are also occasional freebies like webinars offered through the platform and their free ‘community membership’, so it’s worth a visit just to sign up for that. I’ve completed around 10 of the courses. 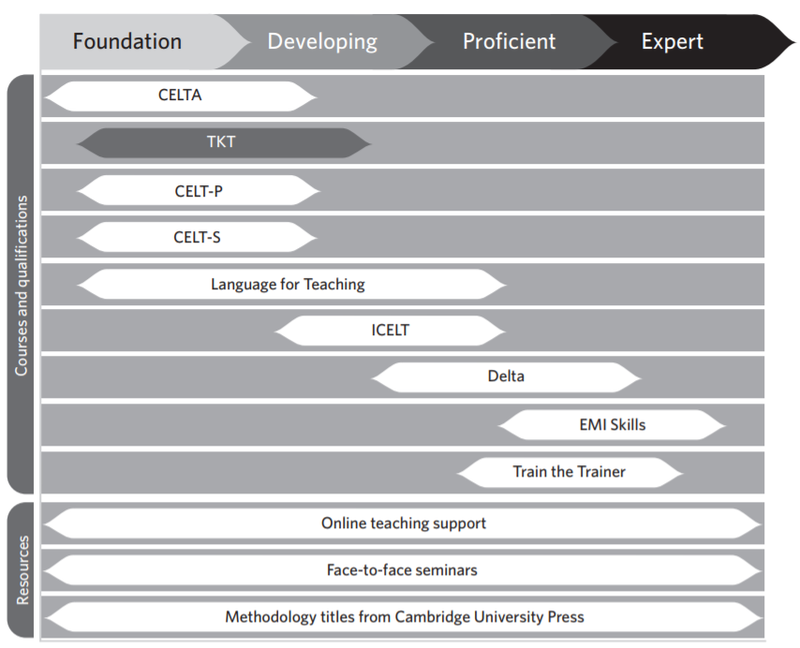 Overall, most were aimed at TKT or CELTA-level trainees, or what Cambridge would describe as Foundation or Developing level teachers. So that’s pretty broad. However, I’d broaden that further by saying that the pronunciation-related courses on the site would be a very good introduction to the topic for CELTA graduates starting on a pathway towards a professional qualification like the DipTESOL. I don’t know about you, but I found pronunciation was quite a neglected area during my initial training, which meant I lacked confidence in this area during the early part of my development. Most courses are fairly short – more like components of a broader course themselves. Actually, it’s quite a clever format, because you tend to complete a short ‘course’ in 20 minutes or so and think ‘ I want to know more’, which prompts you move on to the next video within a theme. For example, after I did the ‘Getting started with teaching vocabulary’ I felt the ‘Teaching vocabulary in the classroom’ suddenly became relevant. The scaffolded, ‘snippets’ type approach keeps engagement levels high. These pieces come together overall to end up as valuable input. The short courses on the whole have a straightforward, fairly standardized format, which keeps things familiar. Much of the content is delivered through short videos, with consolidation notes provided and the occasional downloadable resource either for revision or to complete a ‘while listening’ task. The videos themselves are well animated, audio is clear (self-recorded) and on the whole they are snappy and engaging. If I were Language Fuel I’d think about sharing a few of the best videos across social media. On the one hand, you don’t want to give away too much of your content, but some of the videos are highly shareable and I can see them doing the rounds on Twitter/LinkedIn etc. You get some brief written input on the courses but a majority is video-based. For me, one of the areas for improvement for most courses is to increase the amount of interaction required by the user. There are a few comprehension quizzes after videos (mostly True/False questions) but there aren’t enough. Most online LMS I’ve used, things like Cambridge English Teacher and the NILE platform, require far more engagement from users. For example, NILE use a ‘talkpoint’ feature on their videos, where you can pause the videos at any point and comment/ask questions to a course tutor, or others taking the course. This is hard to do asynchronously, but it could provide some opportunity for interaction on the site. 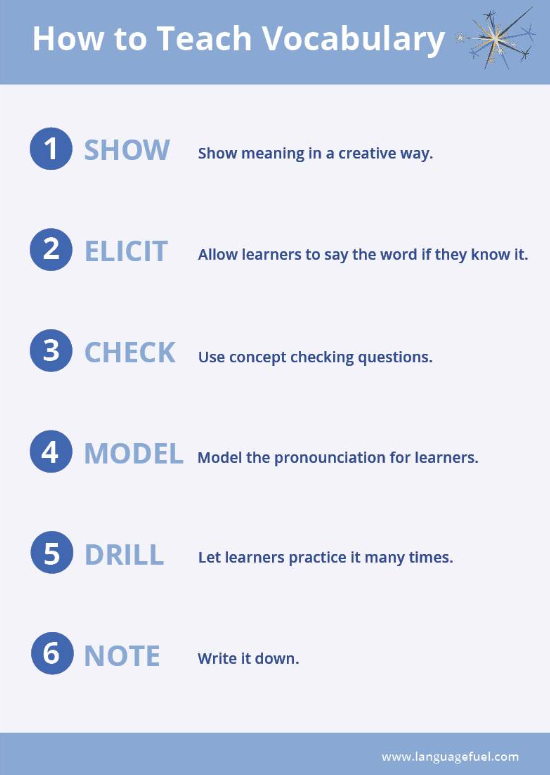 This would be particularly useful for the videos where a task is being demonstrated in the classroom. NILE also use sort of ‘comment walls’, where you can stick a virtual post-it note up to reflect on a video or input provided. 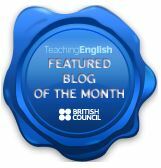 The old Cambridge English Teacher site (I don’t know about the new Digital Teacher one, not a member) varied the comprehension tasks with simple activities like ‘drag and drop’ to complete a summary of the video. They also offered a ‘digital notes’ feature, where you could record your notes online. This was useful if you wanted to paste a good chunk of text from the input. So, interaction within the courses could improve. I got to the end of some courses, received a certificate, but did feel that I hadn’t really checked/reviewed what I’ve learnt – the platform could help me do that. See what I mean about how stuff like this could get shared around social media? It’s a Pinterest-type thing. Anyway, regarding the mix between digital and print – it works okay for me, but others might prefer solely one or the other. The creator of Language Fuel, Joanna Smith, has a background in researching phonology and has published plenty of articles in this field. It is unsurprising, therefore, that the phonology-focused courses are currently driving the content. I undertook the complete 6-part phonology course (6 x 20 minutes) introducing English pronunciation, the phonemic chart and practical ideas for teaching phonology in class. Readers will know that I do like my pronunciation(!) and I felt that Joanna’s introduction to this topic was well-structured, informative enough without getting too technical, and a nice route in for teachers less comfortable in this area. For me, there was a marked difference in the input between the pronunciation-related videos and the other, more TKT focused courses. They did a little bit more than scratch the surface, but without being overwhelming. 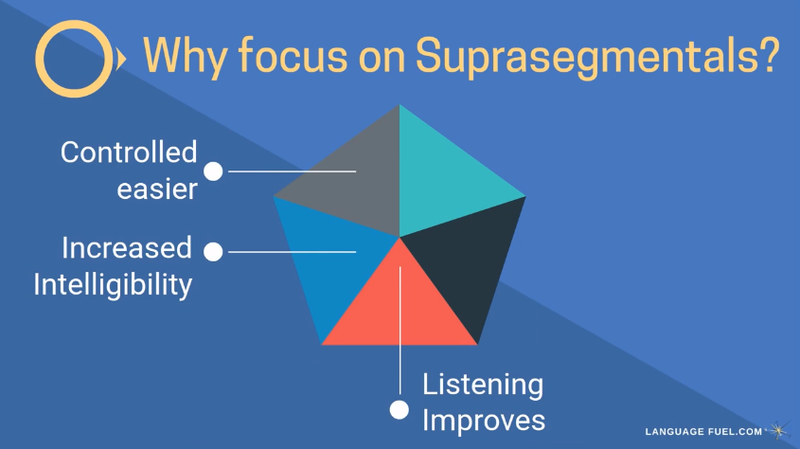 I liked the input on why suprasegmental aspects are important to teach (I won’t share the full content of the slide but here’s an example). One thing I would love to see, especially regarding the pronunciation courses, is more follow up content – i.e. links to external sites for further reading. You always have to go back to your sort of ‘home page’ to access the course catalogue. Because the short courses were getting addictive, I wanted more buttons to access the next one. I’d improve that. A fixed sidebar would be useful. There are occasional difficulties with functionality of features that are embedded. This just need to be ironed out. 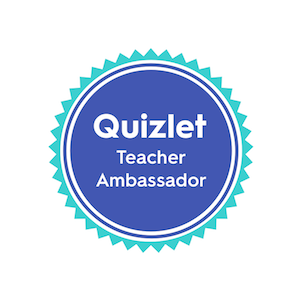 For example, in some courses there are Quizlet study sets embedded – these work fine on my laptop but less so on my mobile. Occasional slow loading of content, but that’s hard to guard against! However, these issues overall are fairly minor. It’s a simple platform to use (the brief intro course on how to use it helps), it’s professional looking and well-branded. There are features that are likely to develop over time, such as the discussion forums and options to join groups – these appear to be a work in progress but will likely become more active as the platform takes off. There are certificates available, which will motivate some users. The platform is available via an LMS app. It proved to be mobile friendly. In fact, courses (apart from the embedded content mentioned) functioned well on mobile devices and looked slick. There are a lot of LMS and training platforms around. This one is reasonably priced, and I can see the content becoming fairly comprehensive and useful over time. I feel like the ‘CELTA to DELTA’ pathway is something this site could really exploit. There’s not enough well-directed training out there for new CELTA graduates to continue their development. Don’t get me wrong, there are plenty of ways to do this, but directing the ‘fresh off the CELTA’ teacher to relevant content is important. As is instilling the idea that the CELTA itself is not the goal – we should be aiming to enhance the level of professionalism in our industry and (ideally) make Diploma-level qualifications a prerequisite (in my view). With this in mind, a new platform like Language Fuel has the perfect opportunity with its functional platform to really nail a range of input for the CELTA to DELTA teacher. Going beyond the basics, addressing some of the corners cut by initial training courses, directing less-experienced teachers to relevant (and academic) reading. A platform like this couldn’t survive on that course alone, but I could see many institutions being interested in funding teachers through such a course – especially as a prerequisite for funding on a DELTA. 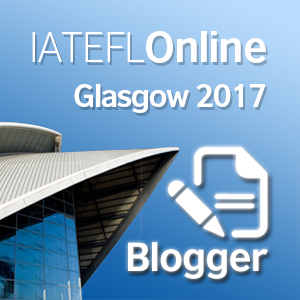 A well-designed platform, already with a range of useful content for less-experienced teachers. 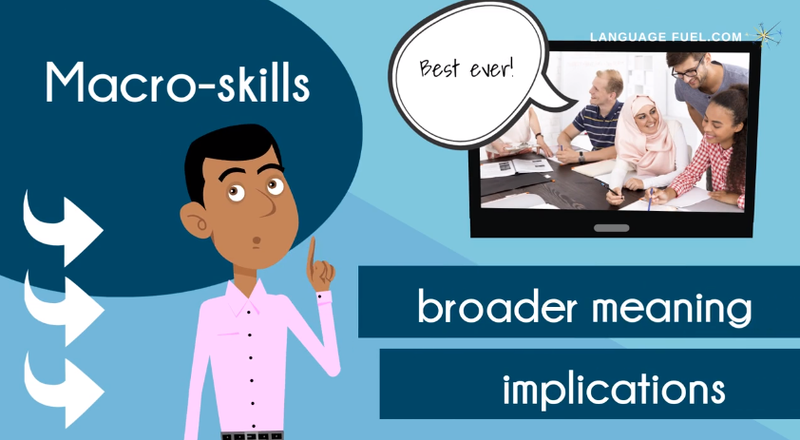 Engaging, video-based input – short courses of 20 minutes, all of which a small piece of a bigger puzzle. There could be more in the way of interaction and consolidation for the courses, but it’s a work in progress. I would absolutely recommend the 2-week trial (see ‘Who is it aimed at?’), the platform already offers a lot but has greater potential. ← How sanitized is your coursebook? Thanks for this review! I didn’t know about the platform, but am really interested in checking it out now. Hey Marek, cheers for commenting and congrats on the book! I’ve seen the cover doing the rounds on LinkedIn/Twitter, etc. should be good, I’m looking forward to reading it! I’m really sorry I haven’t reviewed your course as yet. That one went in the back burner what with MA dissertation and stuff. Then I felt bad about getting back to you as you had given me an access code with I didn’t get round to using. However, I’d love to still review it,m. Actually, having read/mentioned a bit about ELF in my dissertation I’m probably better places to do so now, and could give a more informed opinion on it. I’m just tying up some writing projects between now and xmas – could I do it first thing Jan? No worries, man. You shouldn’t feel bad about it. Life can get busy sometimes. Do you have my email address? Drop me a line there, and we’ll chat. I’m not sure if you have access to the new version of the course, so I’ll check later today. If I remember correctly, I gave you access to the one on pronunciation. I’m putting that one to bed, though for the time being. Decided to revamp and add content to create one comprehensive one on teaching ELF, which will also include pron.